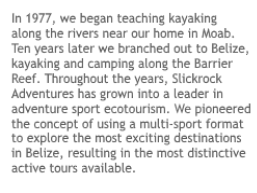 It’s happening, you’re coming to Belize! You’ve found an excellent destination resort, you’re ready to explore the jungle, see Mayan ruins, and snorkel in some of the best waters in the Caribbean. Now the next step: finding a flight that doesn’t break the bank. Finding cheap flights to Belize can feel like a daunting task, but we’re going to help you out by sharing a few tips and tricks that can help you find cheap flights to Belize. The key to finding a cheap flight to Belize is flexibility. If you set your dates for travel with no room for flexibility, you throw away your ability to shop around for a cheaper flight. Try searching for flights a few days before your preferred travel date, and a few days after your preferred return date. You could find a lot of cheaper flights this way. 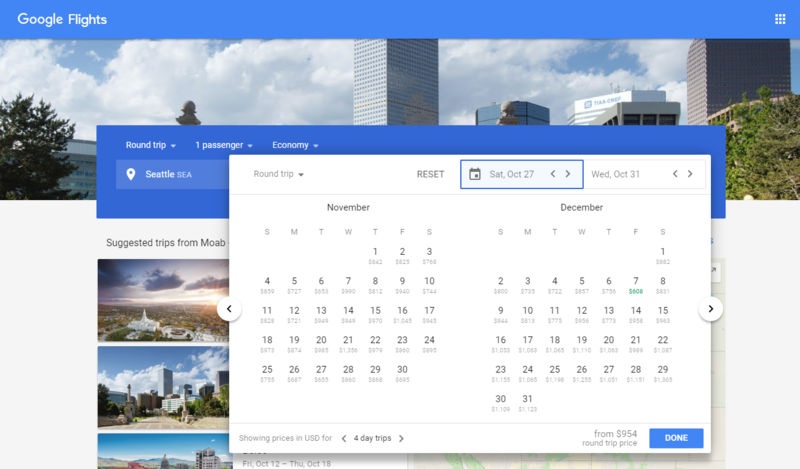 Using Google Flights, you can actually compare prices on a day to day basis. You can even chose the best price after you have selected your departure date. The best prices are highlighted in green. Having a little flexibility in your schedule can help open up more cheap flights to you, so this is an important factor to consider when planning your Belize vacation. Another helpful trick is to look for flights out of a different airport nearby, and not necessarily an airport you would normally use when flying. For example, flights to Belize from New York City are $522 (flying down 11/30, returning 12/9). However, in Boston tickets for those same flight dates run $372. Bus tickets from New York to Boston start at $47, so someone living in New York can save money by choosing to fly out of Boston instead. It’s the same story out west. Someone living in San Francisco can save money by flying out of Sacramento ($746 at SFO versus $423 at SMF). The next best step to find a cheap Belize flight is to book as early as possible. The closer you get to your intended departure date, flights become more expensive. Sometimes you can get lucky and a cheap flight can pop up less than a month away from departure, but don’t count on this strategy. 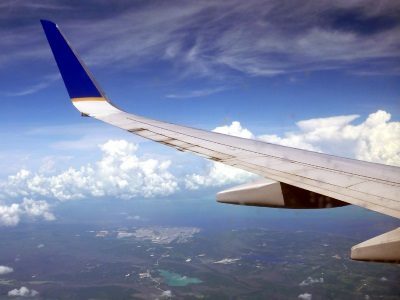 As seats start to sell, prices go up and you may find that there are no flights that fit your budget after waiting too long. The best way to avoid this is to book early, around 2-8 months in advance. 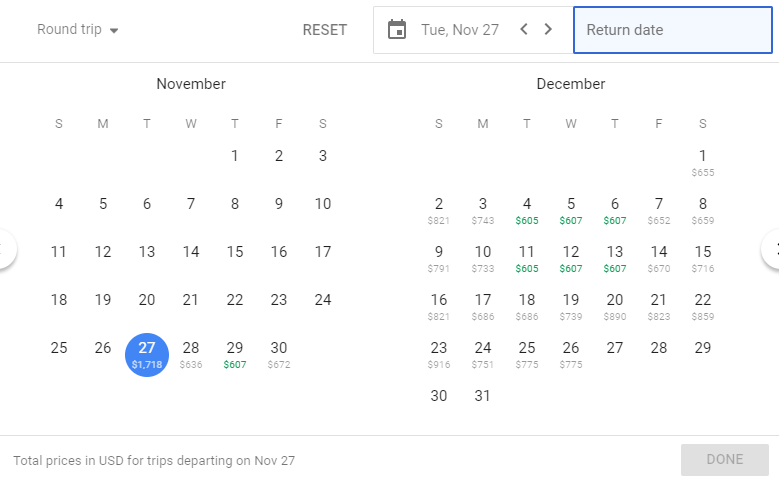 If you’re going to fly during peak seasons (Christmas/New Years/June-August), you may want to consider finding a ticket a year out from those dates if you want something cheap. Certain flying days are cheaper than others as well. In general, Tuesday, Wednesday, and Saturday are the cheapest days to travel. Friday and Sunday tend to be the most expensive. Take this in to account when choosing the days you wish to fly. When it comes down to it, you simply need to be persistent in your hunt for a cheap flight. Check flight searching websites every day until you find a deal that’s too good to pass up. 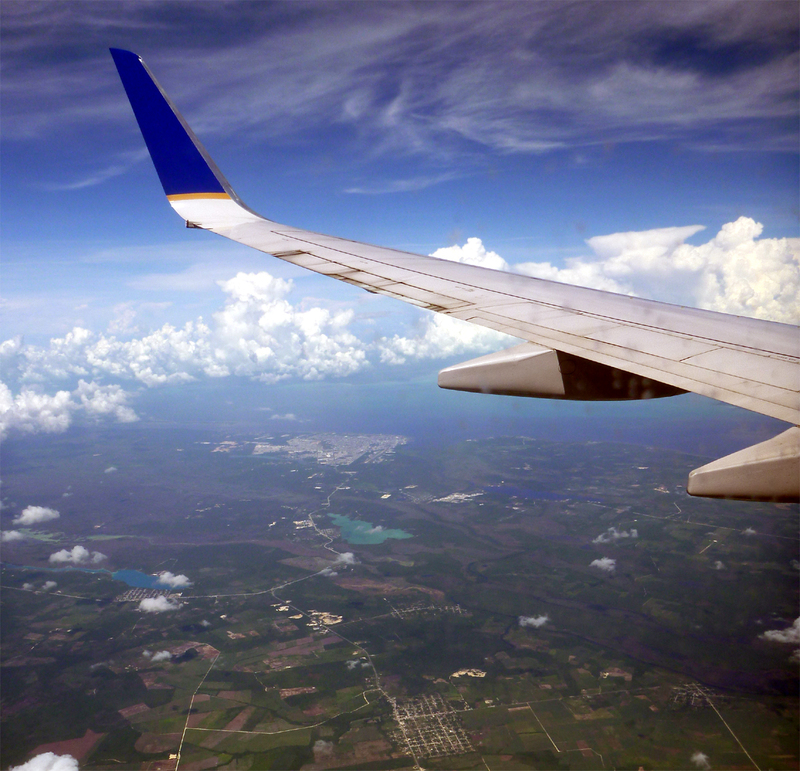 Our favorite websites to use for flight searches are Google Flights, Kayak, and Orbitz. In general, a “really good” fare to Belize is about $300 or less. If you ever find a flight plan that falls somewhere around that price range, don’t wait. Book it! The better the fare you find, the shorter it will last. Flights to Belize have never been cheaper, but sometimes it can be hard to find the cheapest flight down. Being persistent and flexible is the key to finding the best flight. One thing is for sure, though: you will be happy you put in the time and effort to finding the best flight for you. Belize is a hidden gem of Central America and is a must visit. This country in simply un-Belize-able!